An archipelago ( /ˌɑːrkɪˈpɛləɡoʊ/ ( listen) ARK-ih-PEL-ə-goh), sometimes called an island group or island chain, is a chain, cluster or collection of islands, or sometimes a sea containing a small number of scattered islands. Indonesia, Japan, the Philippines, New Zealand, Maldives, the British Isles, the Bahamas, the Aegean Islands ( Greece), the Florida Keys, Hawaii, Puerto Rico, the Canary Islands, the Madeira and the Azores are all examples of well-known archipelagos. 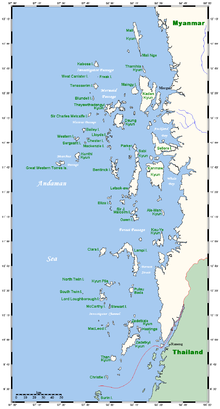 Look up archipelago in Wiktionary, the free dictionary.